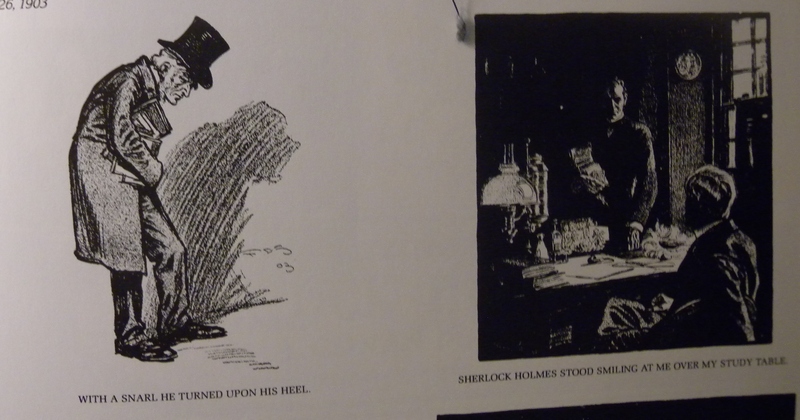 “Holmes!” I cried. “Is it really you? Can it indeed be that you are alive? Is it possible that you succeeded in climbing out of that awful abyss?” How did he do it? Where did he go? What was Dr. Watson doing in the meantime? Who was his only confidant? Why? How did dear Mrs. Hudson react? The Stormy Petrels will discuss “The Empty House” at their next regular meeting on June 2nd. Hampton Place (UBC) at 7:00 pm. Frederic Dorr Steele drawings from Collier’s Magazine, Sept. 1903.